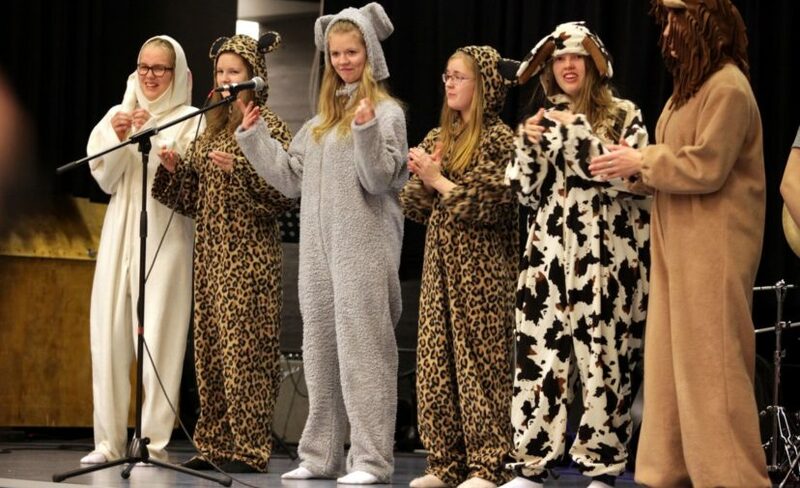 Kalajoki Academy’s cultural services serve as a producer of cultural events and a cooperation partner to companies, associations, communities and civic organisations that provide cultural activities. The main role of cultural services is to promote the equal opportunities of the residents of the municipality to experience and produce art and culture, be refreshed mentally, gain experiences and participate in stimulating activities. Through art education and versatile cultural activities, residents of all ages are provided with opportunities for self-expression, mental growth, and finding and developing their own artistic qualities. The culture academy of Kalajoki Academy offers young people studying in secondary level schools in Kalajoki the opportunity to participate in instructor-led art education in dance, theatrical expression and music twice a week.